A high speed pursuit takes a sudden turn into a residential neighborhood. It's October 14, 2015. A high speed pursuit takes a sudden turn into a residential neighborhood. 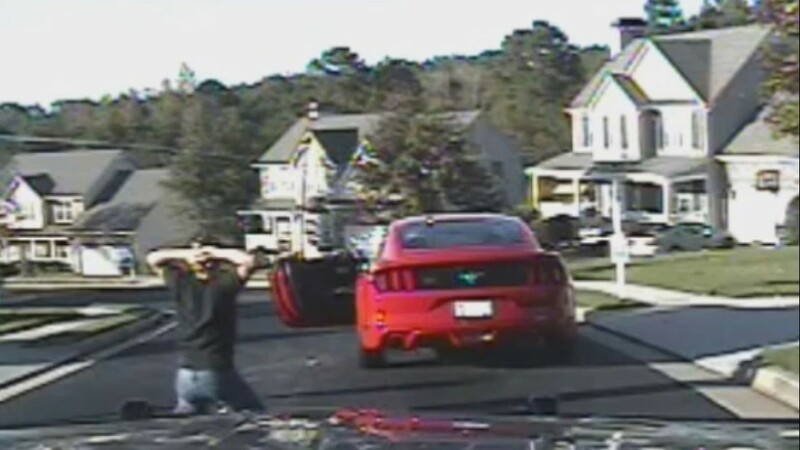 The Georgia State Patrol Trooper nearly loses control before the speeding red Mustang comes to a stop. The trooper yells to the driver, "Turn the car off! turn the car off! Put your hands out the window! Put your hands out the window! Reach outside, and open up the door." It’s a felony takedown. 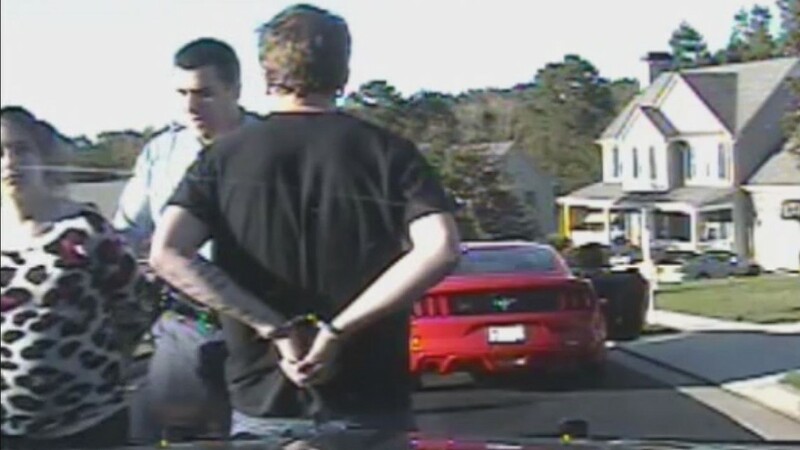 The driver and his female passenger are handcuffed. 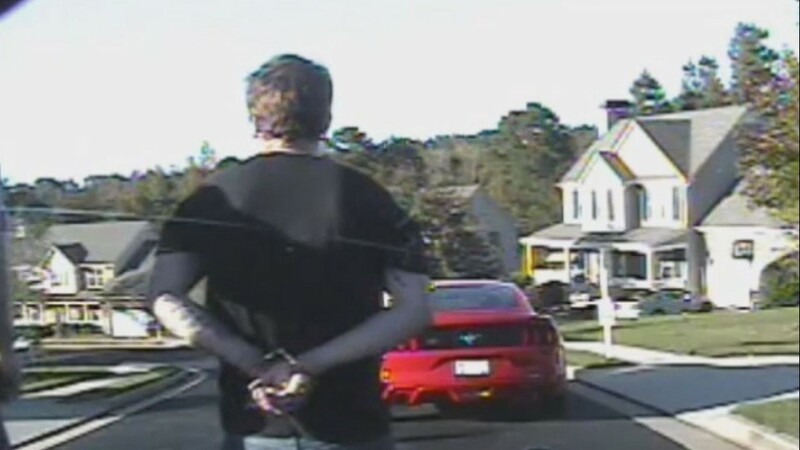 But then the driver reveals why he was driving 94 mph in a 55 mph. “Please officer, I was just trying to get her to the hospital,” the driver yells, motioning to his pregnant girlfriend. "I've got an ambulance coming which is what you should have done,” the trooper responds. 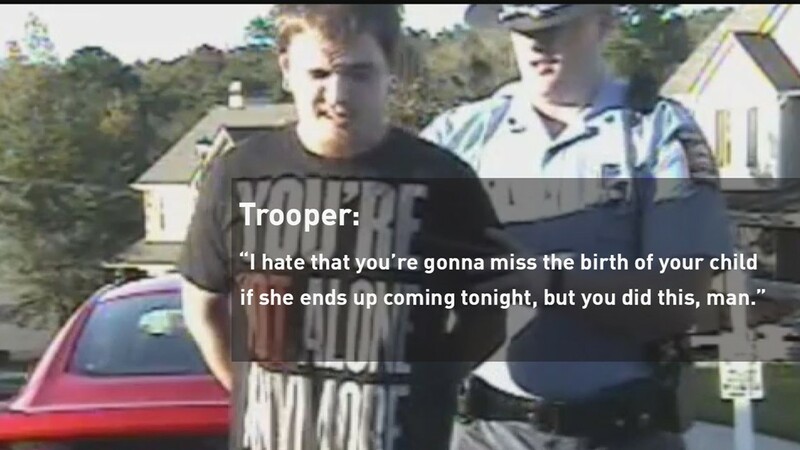 And later, the trooper questions the woman, "Are you in labor? How far along are you?" "38 weeks,” she replies. “I'm really small. "The very-pregnant mother spent three minutes in handcuffs. And later, the trooper returning to same line of questioning, asking, “So how far along are you really?" "38 weeks,” the pregnant passenger again replies. 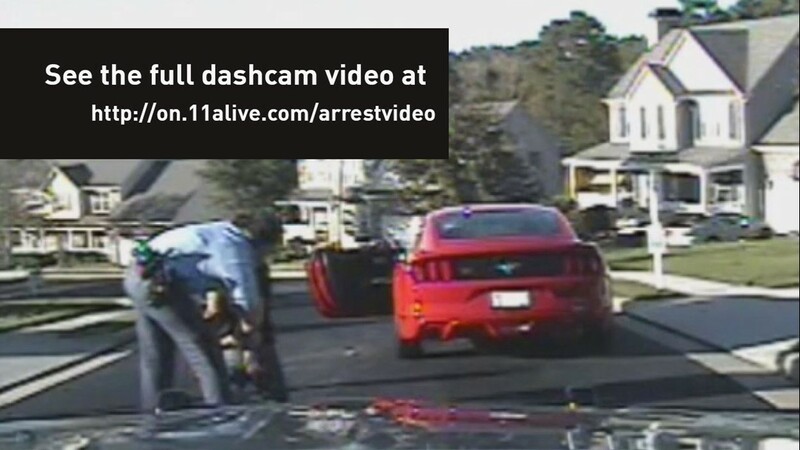 The driver – the child’s father – Brett Covington, is arrested for felony fleeing and eluding a police officer. "Please,” he pleads. “I don’t want to go to jail." 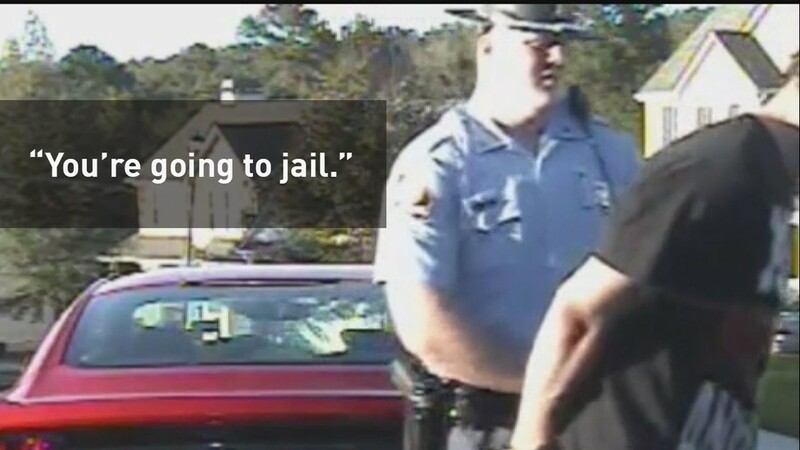 "You're going to jail,” the trooper says. “I don't know how else to say it." An officer who hasn’t been identified replies, "No you weren't!" 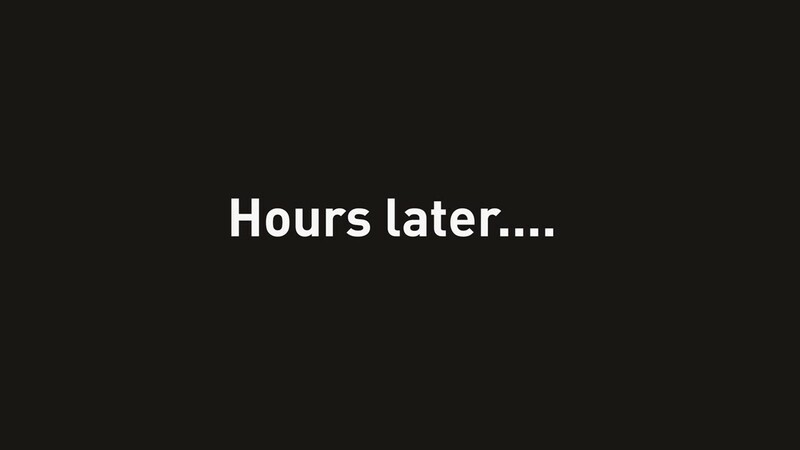 “Yes I was,” Covington says. "How you gonna get to the hospital in a neighborhood,” asks the officer. "Because I got scared and I pulled off. I'm telling you the truth,” Covington says. "You weren't trying to get her to the hospital,” says another officer. 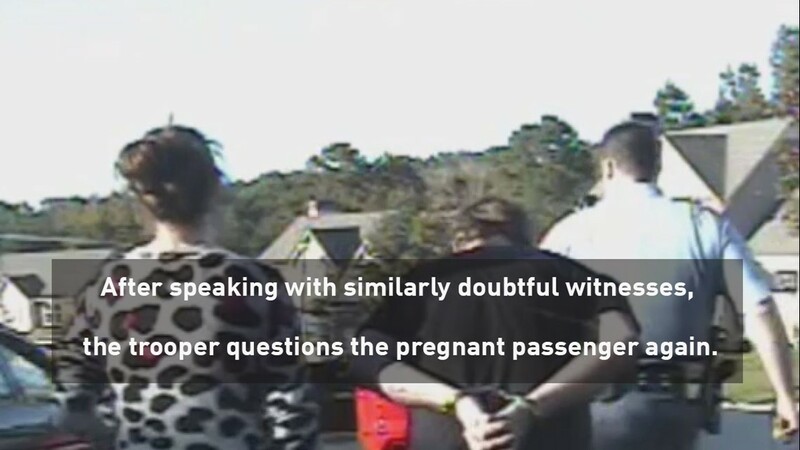 In his report, the trooper writes, “The contractions that the passenger was experiencing suddenly stopped." The passenger, Tiffany Cribb, denies that ever happened. 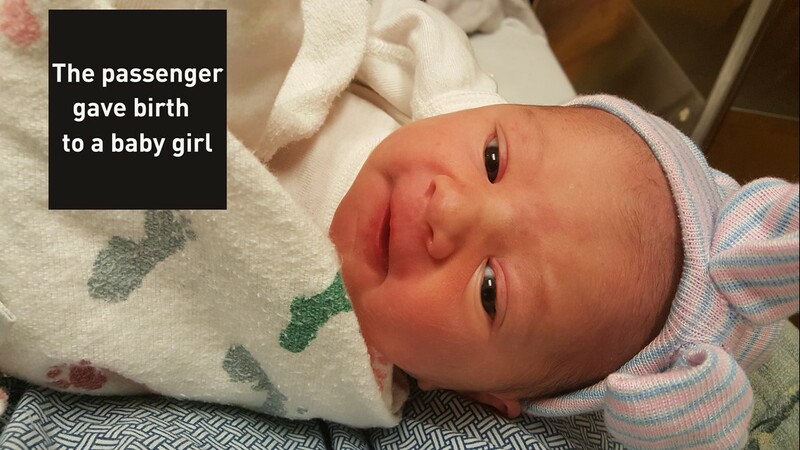 Hours later, she gives birth to a baby girl, Caroline, at Rockdale County Medical Center. She weighs in at 6 pounds, 12 ounces. 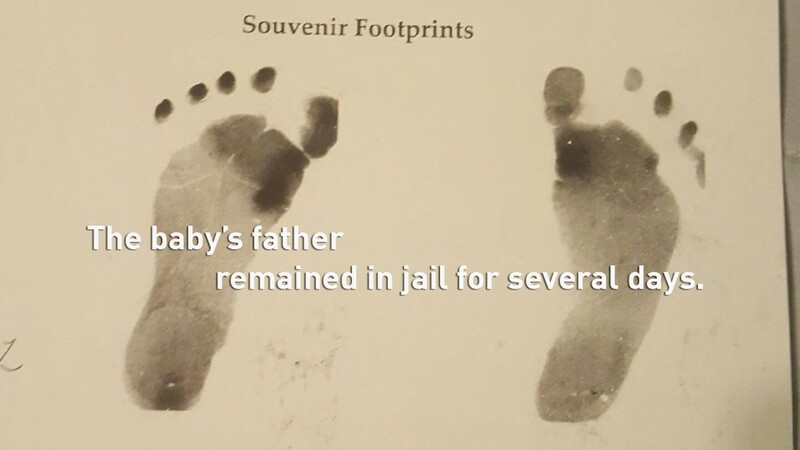 While nurses are taking the newborn’s footprints, jailers are taking her father’s fingerprints. “It's supposed to be a happy moment for her, but instead I was just too worried, when is her dad going to meet her?" Cribb said. Brett Covington completely misses his daughter’s birth. He spends four days locked up inside the Rockdale County Jail. Tiffany Cribb is out of the hospital with her new baby girl before Covington is out of jail. Later, when the district attorney sees the birth certificate, everything changes for Covington. His charges of fleeing and eluding and speeding are dropped because the proof is living and breathing: baby Caroline. “I was treated like someone that was lying to him that I was having a baby,” Tiffany Cribb reflects. "I had proof that I was 38 weeks in the car." Covington eventually pleads guilty to a single traffic offense: reckless driving. His memory of Caroline’s birth is that of tears shed in the back seat of a police car while a group of officers laughed at him. 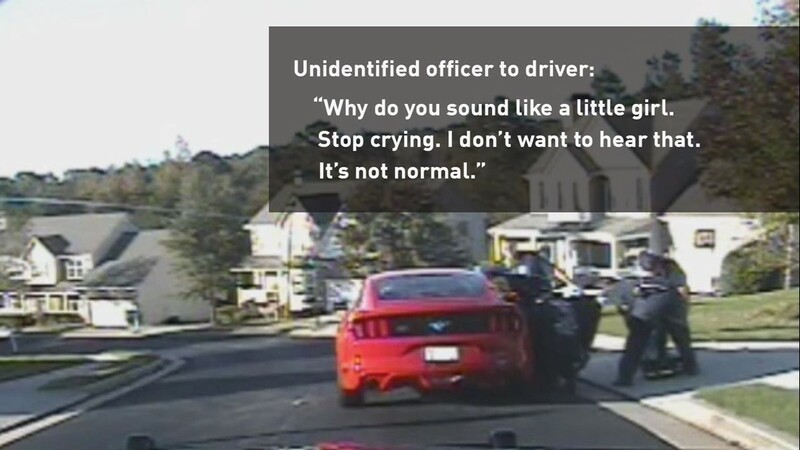 Unidentified officer: "What are you crying for? Quit crying. 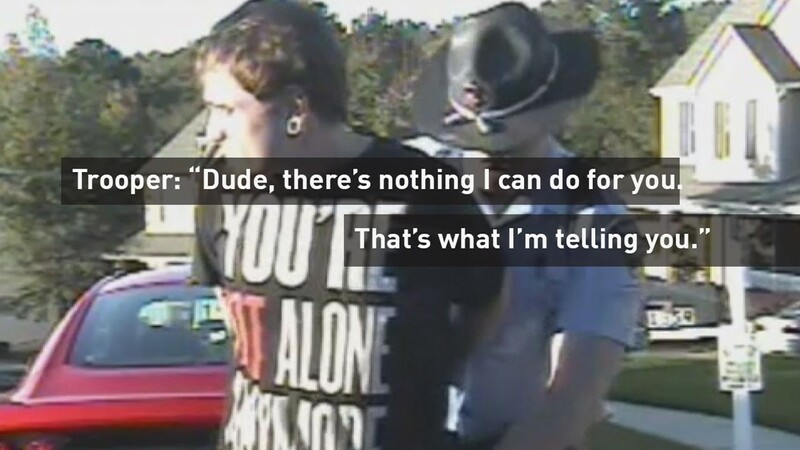 Ain't nobody want to hear that sh*t."
Covington: "I don't want to go to jail. I was just trying to bring her to the hospital." Unidentified Officer: "Why do you sound like a little girl? Stop. Quit crying. I don't want to hear that. It's not normal." Covington: "Can you all have at least a little bit of sympathy?" Unidentified Officer: "Yeah. We're showing it." Another unnamed officer: "We rolled your window down because you said you were hot. Sympathy." Two weeks later, the new parents see the trooper who stopped them on national television. A hero. “I got kind of angry that one cop that treated me badly while I was in labor got praised for one good thing he did,” Cribb says. It was Halloween night 2015. Trooper Nathan Bradley arrived at a home in Newborn, Ga. to deliver unimaginable news: two parents killed in a car crash. Four children suddenly orphaned. "Unfortunately, I was greeted by four children in full costumes," Bradley later said. Bradley’s subsequent actions would draw him praise across the nation and result in hundreds of thousands of dollars being raised for the children. While Bradley's personnel file is full of letter of praise from around the nation for his handling of that situation, several negative documents were missing from the copy of the file 11Alive received in response to an Open Records request. The Georgia Department of Public Safety said those letters of concern and corrective interviews are kept in a separate file. Through a separate request, we were able to obtain those letters. RELATED | What’s in Trooper Bradley’s personnel file? And it wasn’t the first or last time Trooper Bradley would be counseled by the State Patrol for poor decision-making. 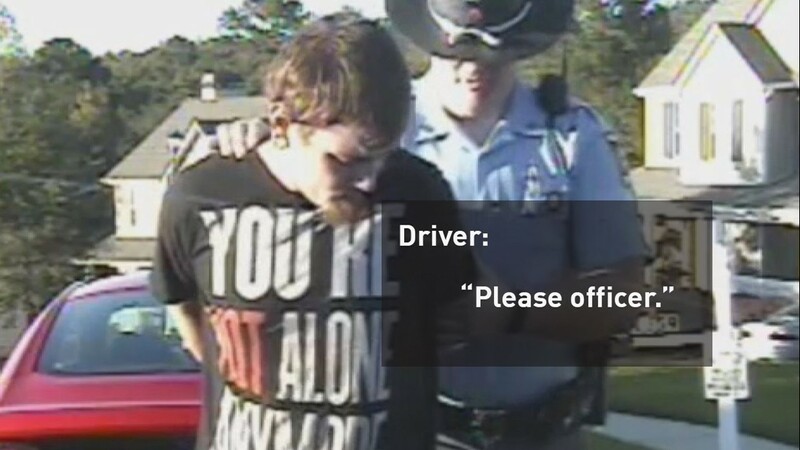 Earlier in the same year, the trooper was written up for “self dispatching” to a call while off duty resulting in a “non-emergency preventable crash, which was your fault.” Then, he got a letter in his file for arresting a driver “against DPS policy and state law” and “making comments in poor taste” on the way to the jail. 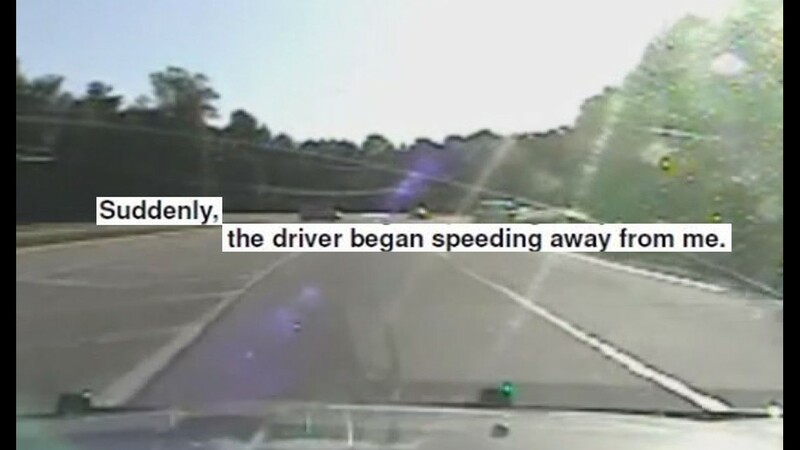 And already this year, the trooper was suspended for three days without pay for “misconduct, negligence, or inefficiency” after he failed to turn on his lights and siren during a recent, unrelated police chase. In his write-up of the incident of the couple on the way to the hospital, a sergeant referenced earlier incidents involving Trooper Bradley. “I have already counseled you previously regarding this matter and you have not improved your decision making ability," the sergeant wrote. 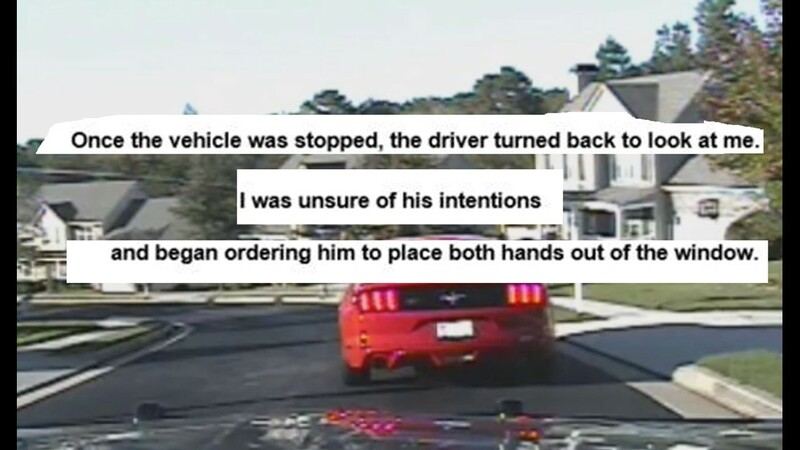 As punishment for the incident involving the new parents, Bradley received a letter in his file and had his take-home car privileges suspended for two weeks. 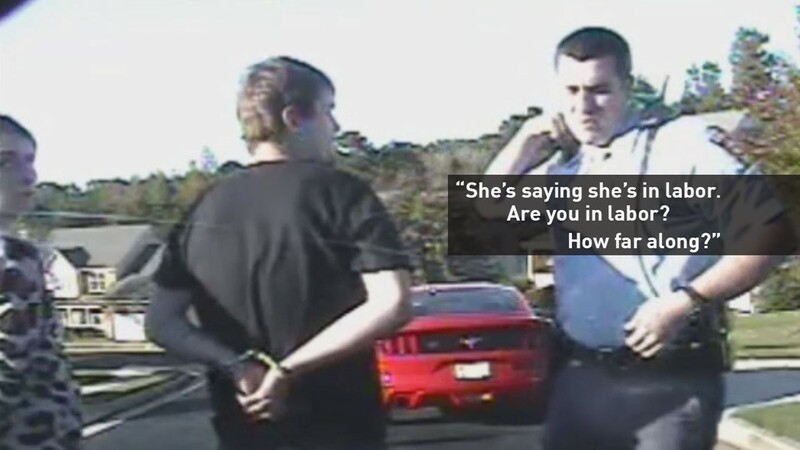 He was later written up for driving on failing brakes for months – including during the chase. 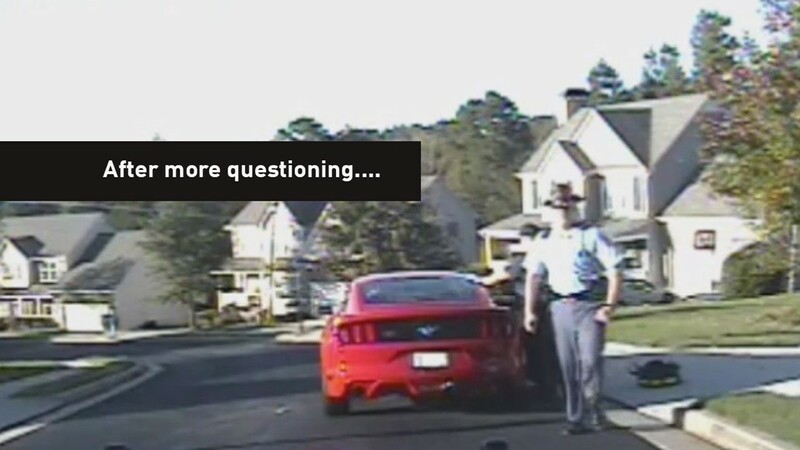 The Georgia State Patrol offered interviews with Trooper Bradley when he was hailed a hero, but would not let him answer our questions about the arrest of a father while the mother was in labor. 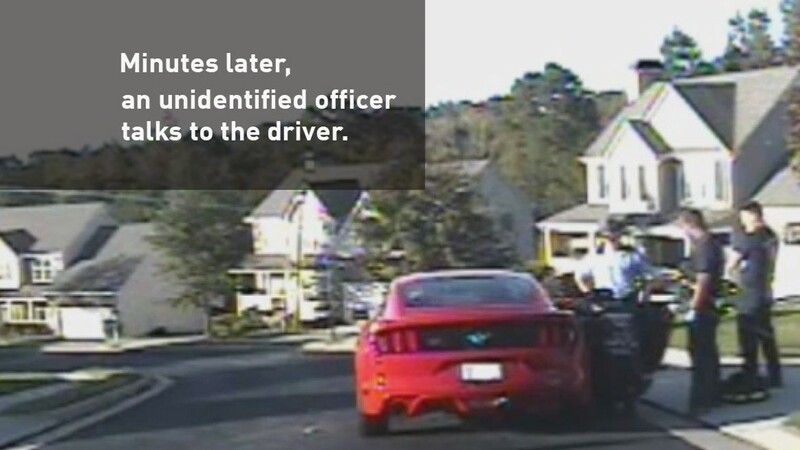 The critical moment for police was when the driver chose to accelerate and turn into a neighborhood right after seeing the blue lights in his rearview mirror. That’s why he was charged with fleeing and eluding. 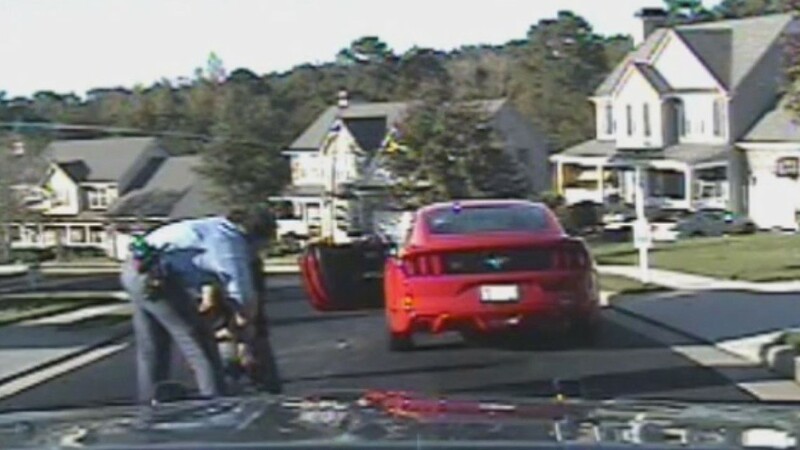 But there was also confusion between Trooper Bradley and Covington over a stop to pick up the pregnant woman’s mother. 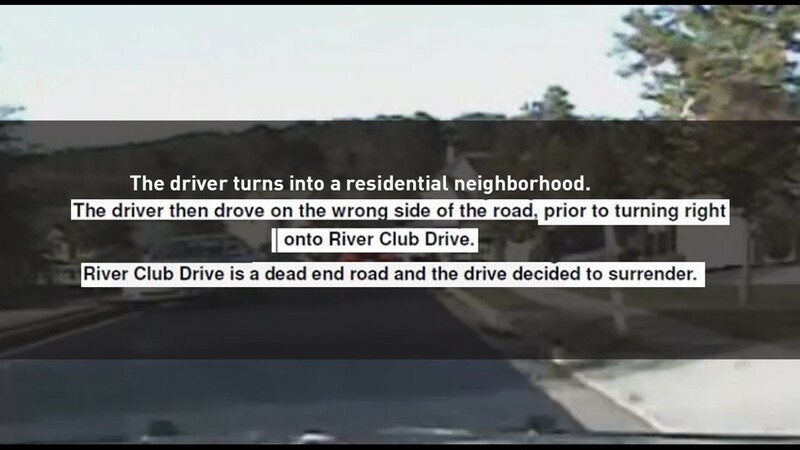 The couple had just left the mother’s house after discovering she wasn’t there, but miscommunication made it seem like they were claiming they were on their way to the mother’s house, which is in the opposite direction. 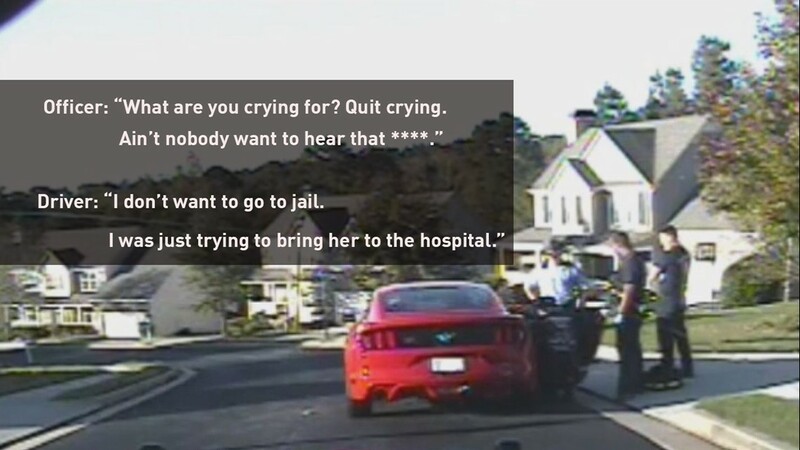 When Trooper Bradley first clocked the Mustang speeding, it was heading toward Rockdale Hospital. The couple’s story never changed, and all the facts have since checked out, despite the confusion that led Trooper Bradley to believe they were not telling the truth. Trooper Bradley was the only officer listed on the police report. 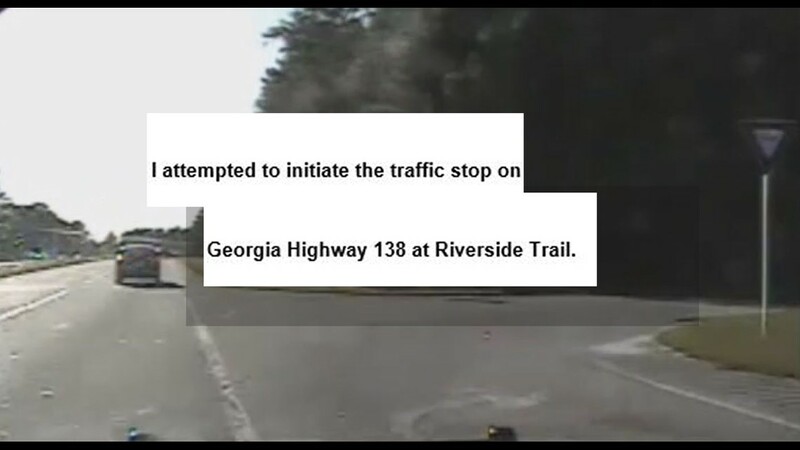 The Georgia State Patrol identified the other officers on scene at the request of The 11Alive Investigators. "TFC Killingsworth, TFC Fletcher, MCO Chafin, and former Trooper Wigington were all on scene at various times. The Rockdale County deputy present was Deputy Donehoo #2115,” according to State patrol spokesman Capt. Mark Perry. 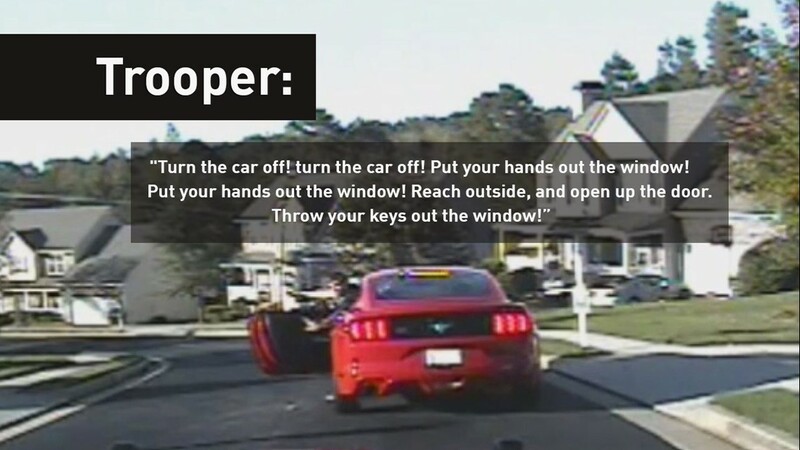 The comments made by the other officers were made off camera, making it impossible to determine which officer said what on the dash cam recording.